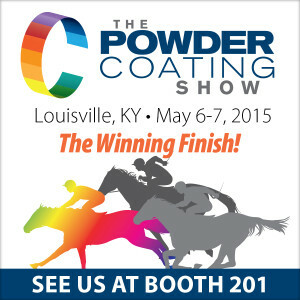 Interested in learning more about IntelliFinishing’s powder coating or liquid paint systems? 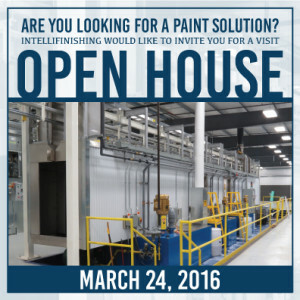 Join us on March 24, 2016 and see our newest installation in full production mode at Albers Finishing & Solutions in Cheney, KS. 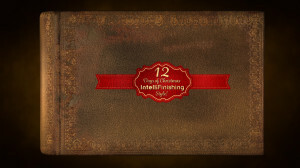 Our IntelliFinishing team will be available all to day to answer questions and highlight all of the features we offer in our complete finishing systems. Cheney is located 30 miles west of Wichita on Highway 400.
Review a simulation and to sign up, visit www.intellifinishing.com/albers. Albers Finishing & Solutions provides liquid paint services to regional and national customers. The highly automated paint line has a part window of 2’W x 4’H x 8’L and can handle up to 500lbs of weight on each load bar. Albers Finishing & Solutions was created in response to a local manufacturer who had a need to provide a finished product but didn’t want to stray from their core business by adding paint inside their operation. Albers Finishing & Solutions took on the challenge of solving the client’s needs while at the same time building a versatile facility that can serve many industries. Currently, the liquid paint line is capable of painting 2,000 to 3,000 parts per day and features an automated conveyor that moves load bars forward and reverse or even stops them independently of every other load bar in the system, a three-stage wash, dry off oven, two paint booths equipped with Fanuc robots applying liquid primer and paint via automated paint mix equipment, a dual-lane energy-efficient cure oven and a load-assist lifter. IntelliFinishing teamed up with Downey Consulting, a local company in designing the following for the system: load-assist lifter, carriers, loadbars, hangars and a rotator mechanism in each paint booth. The parts are hung on a custom loadbar with a spinner wheel, and spun utilizing the air operated (intrinsically safe) rotator. All of this is controlled by the PLC. 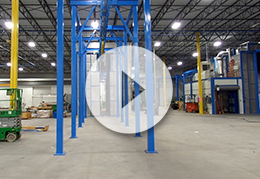 The wireless lifter mechanism is capable of removing the loadbar from the carrier fully loaded with parts, placing finished product on racks, or changing loadbars for a different type/style of part. 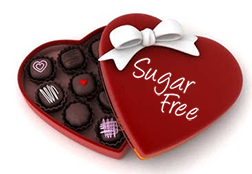 This allows the ultimate in flexibility of the system. “In addition to superior quality and consistency, companies choosing Albers Finishing & Solutions will also experience the ultimate in customer service. Our goal is to be your partner, not just another contractor. We understand how important turnaround times, communication on the status of your product, quality control, and proper packing are to the success of your business so come by and check us out to see what we can do for you,” explains Bret Albers. Plans to expand the business include powder coating and anodizing processes. The owners of Albers Finishing & Solutions have been involved in other businesses including: Art’s & Mary’s Tater Chips, Leadfoot Express Transport and D’Mario’s Pizza Outlets.